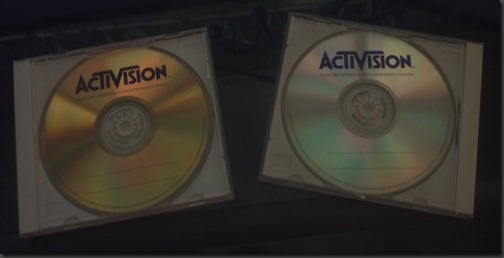 Activision CD-R’s — Blank by the looks of them – circa 1995-ish. Discs of assets from LucasArts Star Wars Galaxies when I worked on those projects. 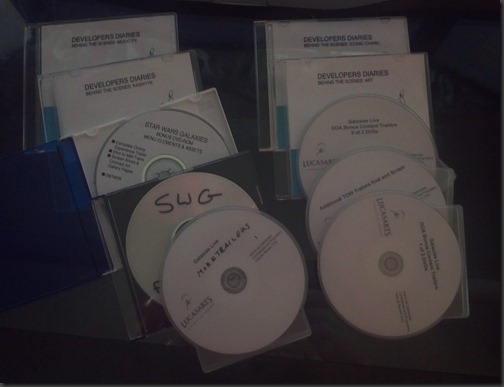 Two old development computers, plus development tapes for a different computer. 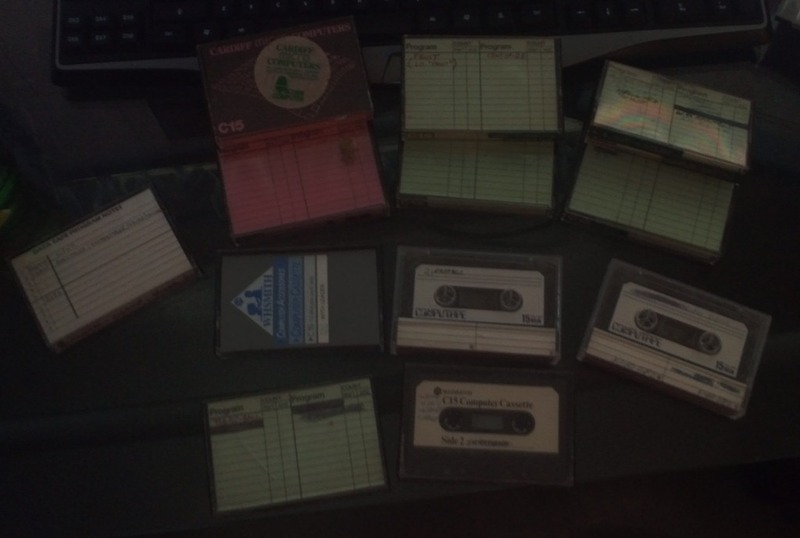 Software and source code on C15 cassette tapes from around the early to mid-1980’s. 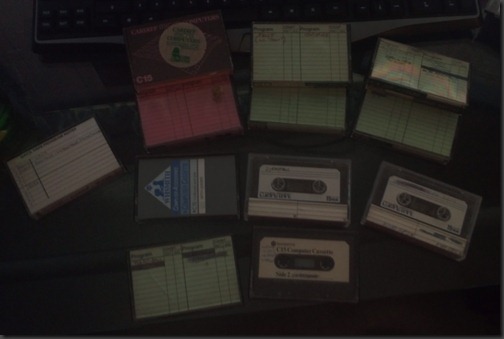 The bright pink and garish green Cardiff Micro Computers tapes containing some of my old games in development for the Acorn Atom, BBC Micro and ZX Spectrum, including the never released “D&D Adventure Game” and the “Car Wars that became Battlecars” for the Speccy.